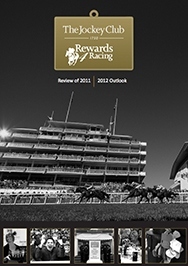 Our mission is to engage with, and offer rewards to racegoers through the use of our award winning loyalty programme. Serving over 30 Racecourses nationwide, our members collect points when purchasing racecourse tickets, placing bets with our key betting partners and when shopping with our network of general retailers. Members then spend these points to treat themselves and their loved ones to an exciting day at the races! 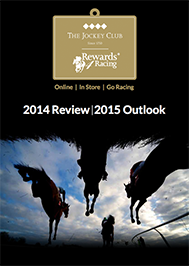 Group Managing Director Jockey Club Racecourses. Chief Executive and Editor-in-Chief, Racing Post. New punters: is it all about the money? Launching our brand-new partner… the British Racing Club! Back in the early nineties, Josh Apiafi was an amateur jockey to champion trainer Martin Pipe. Since then, he has turned his attention to the business side of the racing industry with considerable commercial achievement. 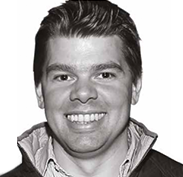 He was part of the management team at Betfair from the embryonic stage of the business, through to 2007 as Director of Racing and Head of Marketing. He then went on to be the CEO of the Professional Jockeysâ€™ Association before launching Rewards4Racing with his fellow founders in 2011. Josh has a great understanding and experience from all sides of the racing and betting industries and is fortunate enough to own racehorse Big Occasion, the winner of the 2013 Midlands Grand National. Josh stills regularly rides out and schools for Grand National winning trainer Oliver Sherwood in Lambourn. 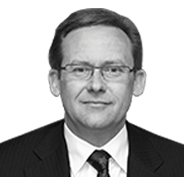 Tom is a former corporate lawyer who turned to the dark side of commercial business in the mid-2000's. Together with Ian Lancaster, Tom established the market leading sports loyalty business,Rewards4,in 2008 and launched their first programme, Rewards4Golf, later that year. Rewards4â€™s innovative sports loyalty platform has provided clients with a proven and cost effective turnkey loyalty solution. This has the flexibility to adapt the means of rewarding customers, members and fans according to their needs. 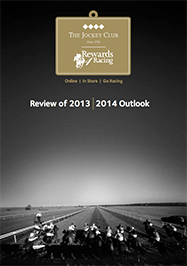 Since its launch in 2011, the success of the Rewards4Racing programme in terms of rewarding members; passion for racing and delivering loyalty back to a principal redemption partner, provides ample evidence that the loyalty model works. It is testament to the programme's relevance and ease of use, that so many racegoers have chosen to engage with it and continue to do so. As an avid sports fan (and occasional participant! 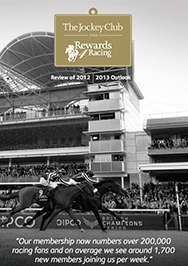 ), Tom has certainly found his niche and is looking forward to the continued success of the Rewards4Racing programme. Ianâ€™s successful career in sportsâ€™ Sales and Marketing started in the late nineties at Saracens Rugby Club, where he was influenced by a number of successful sports administrators, none more so than the late Peter Deakin. Ian was heavily involved with the successful Community Cashback Programme at Saracens and through that, came to understand the importance for any club or sport to make fans feel valued and part of the journey. Ian is passionate about the power that sport can have in its engagement with fans. 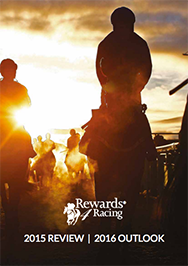 Through Rewards4Racing and other sports based loyalty programmes, he is determined to ensure that sports fans have a more rewarding experience, either by making it more affordable to watch sport, take part or by getting the opportunity to meet their heroes, whether they are human or equine. Ian still (when his body allows!) plays rugby for his local rugby club although he is dreaming of the day when the coach lets him retire to stud. 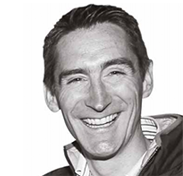 Paul Fisher is responsible for the performance of the largest racecourse group in the UK, while contributing to the executive management and business strategy of The Jockey Club group. 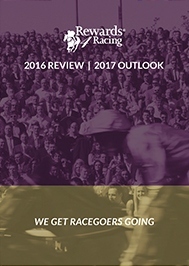 All Regional Directors across The Jockey Clubâ€™s racecourse portfolio and the Groupâ€™s Human Resources department, report to Paul. Paul joined Jockey Club Racecourses in 2000 as Finance Director of its three London racecourses. He was promoted to Managing Director of Kempton Park in 2005. In 2008, he was appointed as Chief Operating Officer of Jockey Club Racecourses. In 2010, Paul went 'back to the floor' as the Undercover Boss for an episode of Channel 4â€™s hit television documentary series. 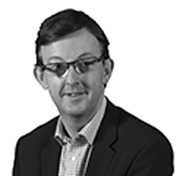 Alan has led the transition of the Racing Post from a traditional newspaper publisher to a multimedia business. More than a third of the Groupâ€™s revenues are now digital. Alan was previously editor of the Racing Post from 1993 to 2001 during which time he merged the Racing Post and Sporting Life. 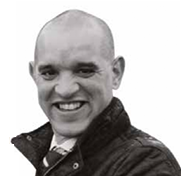 He subsequently worked as a consultant to Godolphin, Betfair, Betdaq and others. He returned to the Racing Post after the business was bought from Trinity Mirror in 2007.